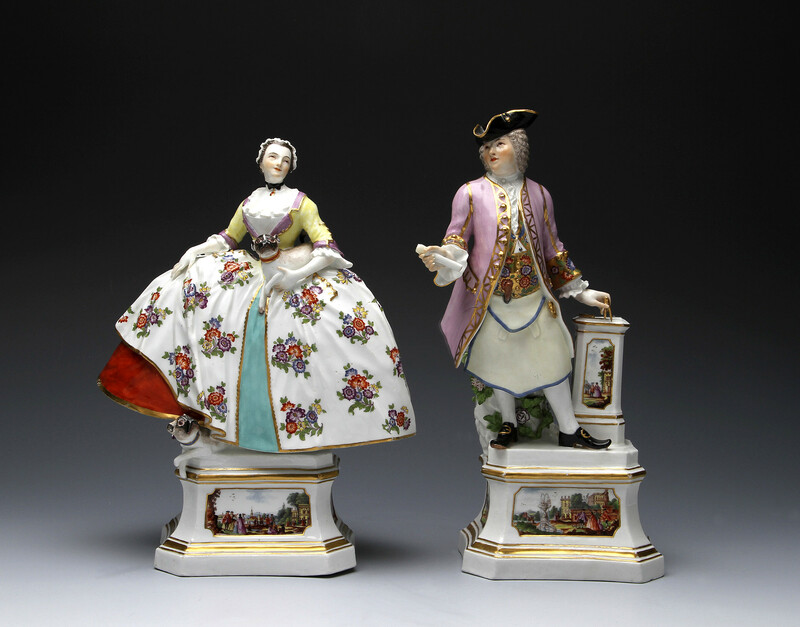 It is rare to get a truly matching pair of these figures with similarly decorated plinths. 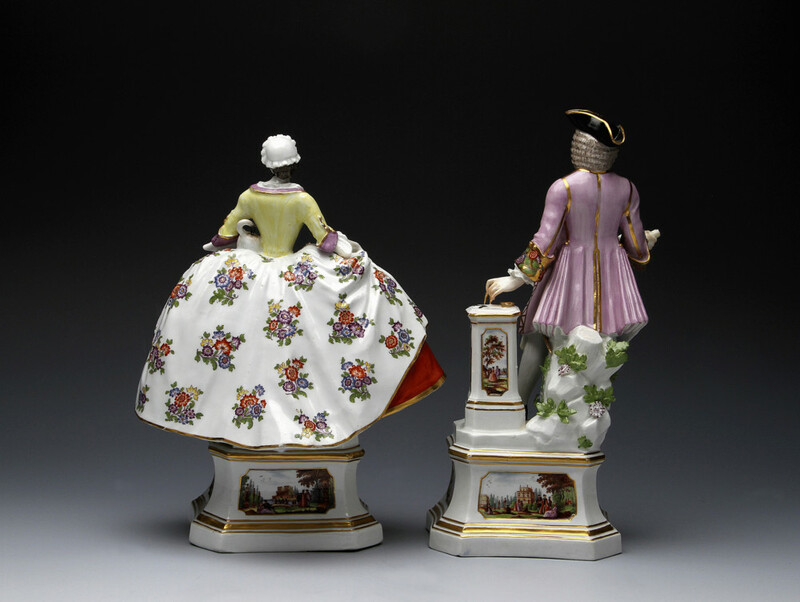 The mason was first modelled by Kändler in 1743, the lady (traditionally known as Countess Kösel), was modelled in 1744. Clemens August, elector of Cologne, founded the Mopsorden in 1738 as a semi- secret society to which court ladies could belong. Their symbol was the pug dog or mops. Women and Catholics were not able to join the Freemasons. Augustus III was the Grandmaster of the order in Saxony. Condition – The lady broken through the waist, the lower dog with fore paws repaired. Minor restoration to fingers and extremities, his apron repaired.